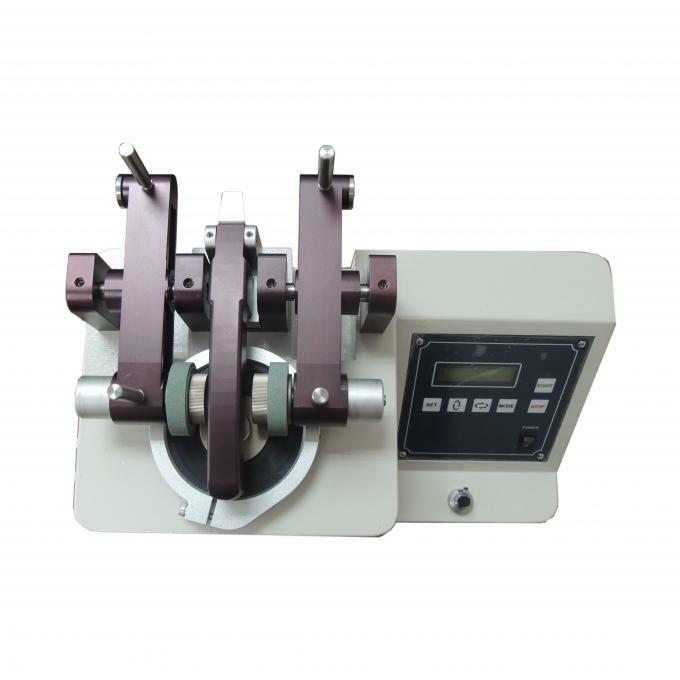 This tester applied to do the test of wear-resistant in skin, leather, cloth, paint, paper, flooring, plywood, glass and natural rubber. The method is using the standard knife cutting the specimen, and then using the regulated models of grinding wheel with loading weight to be abrased, Specimen to be removed after rotation to reach a certain number, observe the condition of the specimen or compare the weight with the previous material's, For the choice of grinding wheel models: H18, H22, CS17, S32, S33. Diameter abrasive wheel: 150 450L (mm).